We welcome you to the first issue of Inside ATLAS.ti for 2018. We are excited to start a new year of partnership with you, the international community of users. In this issue, we show you an interesting application of ATLAS.ti in relation to DNA and crime research. Moreover, we share with you news on the launch of the Spanish-language version of ATLAS.ti 8 and news from the ATLAS.ti office in Malaysia. ATLAS.ti offers various learning resources for users of all skill levels in form of web-conferences, group workshops or personalized face-to-face seminars. Therefore, we provide an extensive list of all learning resources in the final section of our newsletters, for you to easily check when and where workshops of ATLAS.ti take place or what kind of training suits your needs best. ATLAS.ti users of all levels are cordially invited to take part in this unique event. Learn from the community of ATLAS.ti users and trainers to take your skills to the next level! This year’s conference concentrates on gaining experience through hands-on learning in a number of workshops. Two keynotes that address central issues in computer-assisted qualitative data analysis frame the conference. One case study roundtable and our famous Pecha Kucha paper session provide opportunities to present your research. Please visit the Conference Web Site for details, the Call for Papers, and discounted early registration. 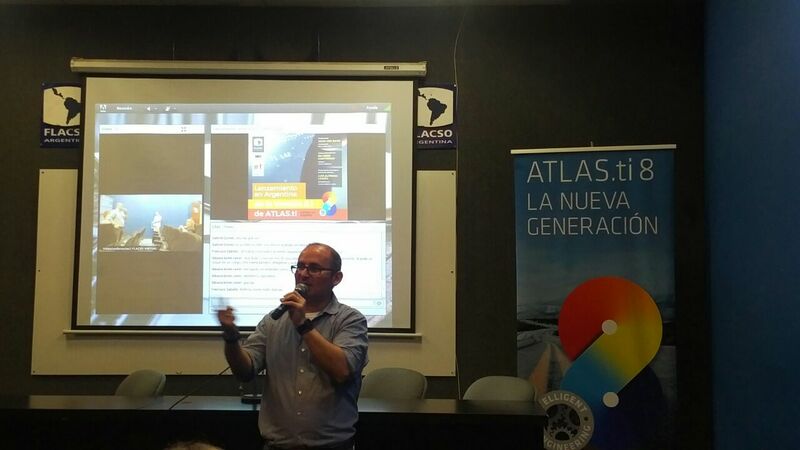 The ATLAS.ti Latin American team partnered with FLACSO Argentina to officially launch the Spanish language version of ATLAS.ti for Windows 8. The event was streamed live through Facebook and was watched by hundreds of students, researchers and academics from Latin America and Spain. We thank CEIA-FLACSO for their support and we thank all of you for attending. You may find more information on the event here. In 2017, the ATLAS.ti trainer team organized various ATLAS.ti workshops and seminars for students, teachers and other interested parties. 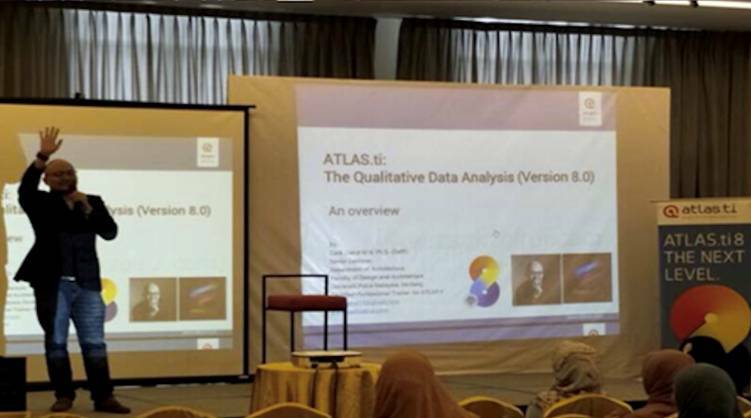 Dr. Ani Munirah Mohamad and Dr. Mohd Zairul Mohd Nor, two of our certified professional trainers spoke about ATLAS.ti in two grand postgraduate seminars, with a total number of 300 delegates of postgraduate students from institutions all over Malaysia. The two researchers said that they foresee bright potential of disseminating more meaningful and engaging ATLAS.ti trainings in Malaysia and neighboring countries in 2018 and beyond. 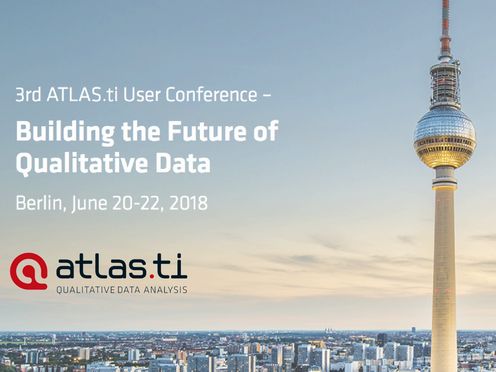 Take advantage of a personalized presentation of ATLAS.ti! We offer personalized presentations on ATLAS.ti through web-conferencing to groups of people evaluating the software, professors wanting to introduce to their students, and those of you who would like to present ATLAS.ti in conferences. This time we interview Florencia Rodriguez, from the Youth Observatory of Buenos Aires, a program belonging to FLACSO - Latin American Faculty of Social Sciences. Florencia tells us about her work on using ATLAS.ti to analyze data on the use of DNA databases for the crime research. In these demo webinars we provide a 60-minute overview of ATLAS.ti. Once you click on 'Register' you will be able to select the webinar date and time zone of your preference. En estos talleres gratuitos mostramos los procedimientos básicos de ATLAS.ti en sesiones de 60 minutos cada uno. Una vez que haya hecho clic en 'Inscripciones', usted podrá seleccionar la fecha que más le convenga. También podrá ver la hora del taller en su propia zona horaria. To select a specific date and register, click on 'Register'. There you will see the option of selecting dates. Para seleccionar fechas, hacer un clic en 'Register'. Una vez hecho eso podrá seleccionar la fecha de su interés. For inquiries, contact us at [email protected] You may also call us at +1 (866) 880-0231 (toll-free US and Canada) and +1 (541) 286 4391, 9:00 am to 4:00 pm PST.